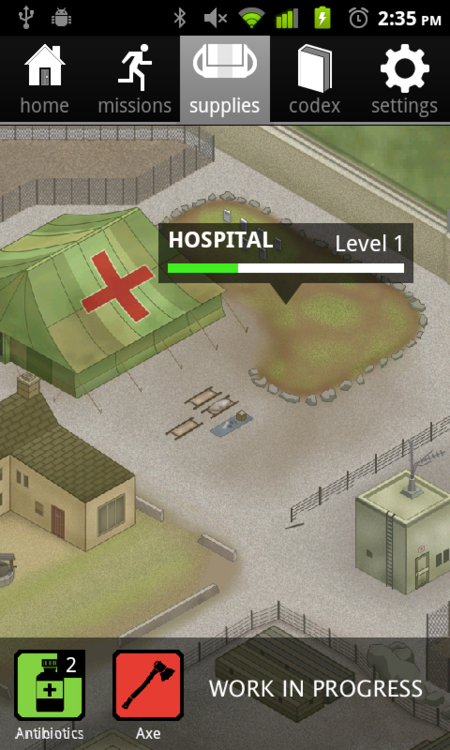 Android: 28 Days Later (June 14th) – Zombies, Run! Yes – it’s not May, and it’s not Spring, either. But come Thursday June 14th, Zombies, Run! will be on Android! We’re really sorry that we aren’t able to release it any sooner – we want it to be out just as much as you do, so we’ve thrown all of our mobile development resources into Android to make that happen. We don’t want the Android version to be lagging behind iOS indefinitely though, so we are hiring more people to help accelerate development on all fronts. The good news is that on June 14th, all Zombies, Run! players – Android and iOS – will gain access to ZombieLink, our web-based syncing service. It’ll do everything you’d expect, like show your run logs and stats, and plenty of things that we’re sure you’ll be delighted by. There’s more good news: we’re targeting Android 2.2+! This means that even fairly old Android phones should be able to play Zombies, Run! although obviously the actual performance may vary if you have a really old/slow phone. Closer to launch, we’ll be emailing all Kickstarter backers and people who’ve pre-ordered Zombies, Run! with instructions on how to download and play the game. But for now… well, it’s only 28 days from now!